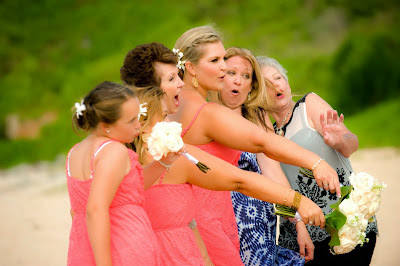 Where can you go in a world of 7 billion souls to find yourself almost completely alone with your closest friends and family on a pristine tropical beach to have your wedding? 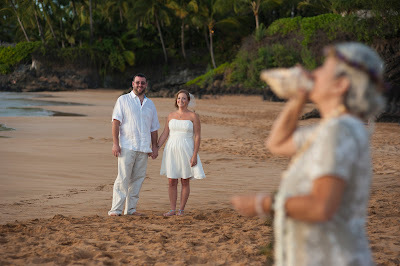 If you're Jessica and Ryan the answer would be, Maui! 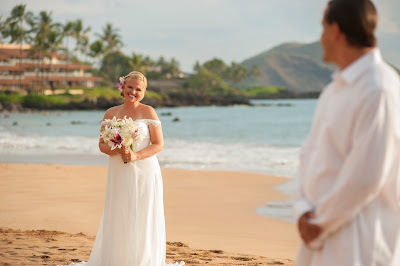 With a luau scheduled as their reception, we set them up with a mid afternoon ceremony time on a rather unknown beach on the west side of Maui, a beach known mostly to the local surfers and frequent visitors but not many others. 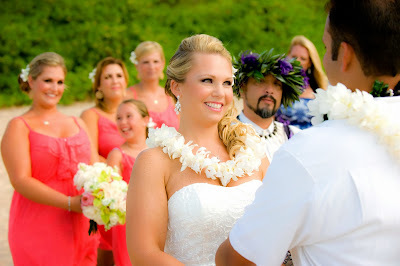 Jessica went for our Elegant Maui wedding package from Marry Me Maui Wedding Planners, a package which includes in room hair and makeup, live music for the ceremony, cinematography, a professional Maui photographer and a custom bridal bouquet among other amenities. The weather was perfect with light clouds and a cool breeze. 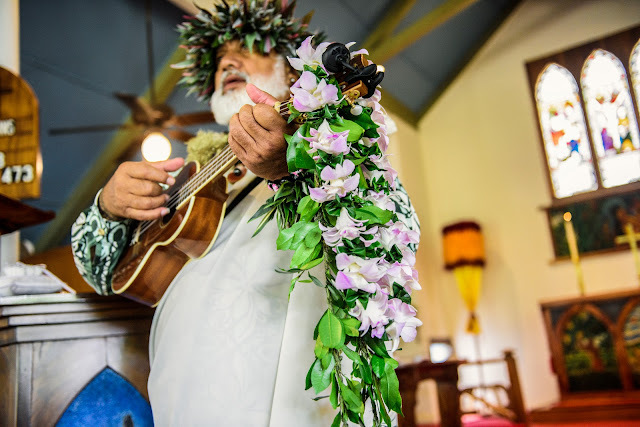 Our professional Maui Wedding Planner guided our wonderful couple through the entire process keeping them on time and on target while our professional pool of Maui wedding professionals provided their typically stellar services. Even Maui came through for us that day with a light cloud cover and a cool breeze to keep everyone comfortable. While we can't guarantee the weather, we can guarantee that our professional service providers will come through for you on your special day. 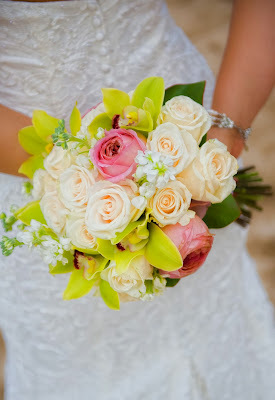 Call the wedding professionals at 808.242.1100 for a no obligation consultation. Ryan is a very lucky man!